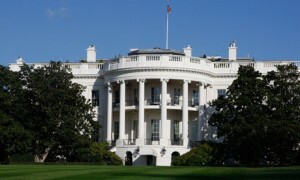 The White House has responded to two petitions about legislative approaches to combat online piracy. In their response, Victoria Espinel, Intellectual Property Enforcement Coordinator at Office of Management and Budget, Aneesh Chopra, US Chief Technology Officer, and Howard Schmidt, Special Assistant to the President and Cybersecurity Coordinator for National Security Staff stress that the important task of protecting intellectual property online must not threaten an open and innovative Internet. The Obama officials called on Congress to pass legislation this year to combat online piracy. They also wrote that the White House would soon be hosting a conference call with supporters of the petitions as well as an online event. “Right now, Congress is debating a few pieces of legislation concerning the very real issue of online piracy, including the Stop Online Piracy Act (SOPA), the PROTECT IP Act, and the Online Protection and Digital ENforcement Act (OPEN). We want to take this opportunity to tell you what the Administration will support—and what we will not support. Any effective legislation should reflect a wide range of stakeholders, including everyone from content creators to the engineers that build and maintain the infrastructure of the Internet. Any effort to combat online piracy must guard against the risk of online censorship of lawful activity and must not inhibit innovation by our dynamic businesses large and small. Across the globe, the openness of the Internet is increasingly central to innovation in business, government, and society and it must be protected. To minimize this risk, new legislation must be narrowly targeted only at sites beyond the reach of current US law, cover activity clearly prohibited under existing U.S. laws, and be effectively tailored, with strong due process and focused on criminal activity. Any provision covering Internet intermediaries such as online advertising networks, payment processors, or search engines must be transparent and designed to prevent overly broad private rights of action that could encourage unjustified litigation that could discourage startup businesses and innovative firms from growing. Let us be clear—online piracy is a real problem that harms the American economy, threatens jobs for significant numbers of middle class workers and hurts some of our nation’s most creative and innovative companies and entrepreneurs. It harms everyone from struggling artists to production crews, and from startup social media companies to large movie studios. While we are strongly committed to the vigorous enforcement of intellectual property rights, existing tools are not strong enough to root out the worst online pirates beyond our borders. That is why the Administration calls on all sides to work together to pass sound legislation this year that provides prosecutors and rights holders new legal tools to combat online piracy originating beyond U.S. borders while staying true to the principles outlined above in this response. We should never let criminals hide behind a hollow embrace of legitimate American values. Washington needs to hear your best ideas about how to clamp down on rogue websites and other criminals who make money off the creative efforts of American artists and rights holders. We should all be committed to working with all interested constituencies to develop new legal tools to protect global intellectual property rights without jeopardising the openness of the Internet. Our hope is that you will bring enthusiasm and know-how to this important challenge. The White House viewpoint emerged after legislators behind the SOPA and PIPA bills indicated they were minded to modify contentious site-blocking provisions in their measures.